FC Barcelona and FC Internazionale Milano have reached an agreement for the loan of the player Rafinha until June 30th 2018. FC Internazionale has an option to purchase the player for 35M euros plus 3M euros in variables, which must be confirmed before the end of the current season. FC Internazionale assumes the player’s salary. Rafinha came to FC Barcelona at the age of 13 and his progress was swift in the Club’s youth system. After impressing with the U19A side, he was given a debut for Barça B by then coach Luis Enrique in the 2010/11 season. He went to make his debut for the first team under Josep Guardiola on 9 November 2011. A season later he was a fully-fledged member of the B squad. After his time with the Barça B squad and various appearances for the first team, Rafinha spent the 2013/14 season on loan at Celta Vigo, teaming up again with Luis Enrique who was coach at the time of the Galicians. In the summer of 2014 both Rafinha and Luis Enrique returned to FC Barcelona with the Asturian’s three year spell as coach coinciding with the midfielder’s most consistent period with the first team squad. A serious injury picked up against AS Roma at the end of 2015 saw him out for more than six months. In April 2017 he once again began a long spell on the sidelines after being injured playing away at Granada in La Liga. 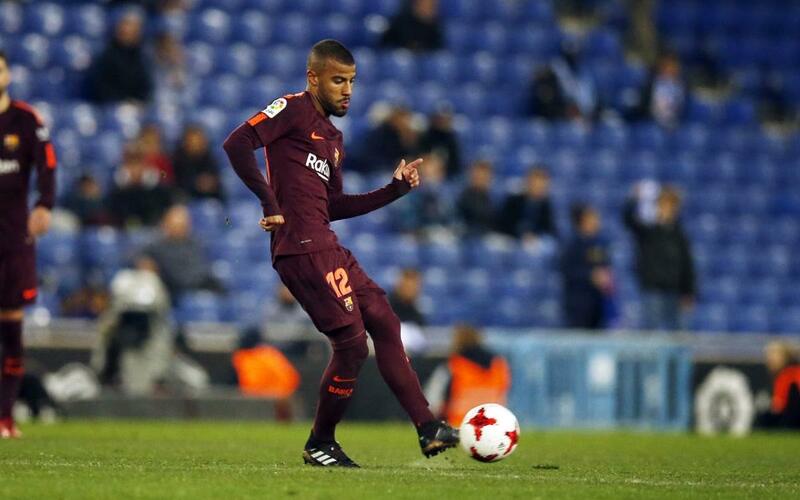 In his time at FC Barcelona, Rafinha claimed a total of nine trophies: a Champions League, two league titles, three Copas del Rey, a European Super Cup, a Spanish Super Cup and a World Club Cup. In his 79 matches for the Barça first team he scored 11 goals.